Home Best travel tips	Stockholm Transport guide. Airports, Metro, Tram, Bus. Stockholm is known as the most pricey place of Scandinavian Region. More expensive than Copenhagen and Oslo for us. Here there are some suggestions for you, for have the best from two days in the Swedish Capital without getting in bankrupt. In one of our post, we give a lot of suggestion for affording Stockholm without go in Bankrupt. Stockholm is the Capital of Sweden, this city is the join of 14 islands and so far it gives to it the title of Venice of North Europe. Despite the place where stay gonna be less expensive than life. Two days in Stockholm can rise your wallet. Stockholm is served by 4 airports, the biggest and most important is Arland, is close to the city respect to the other and is an International Airport, all the major Airlines landed and fly from this Airport. From this airport to the city centre is pretty easy, there are many options to get in, from city local buses to the train, regular and express and Taxi and Uber. There are other three airports serving Stockholm: Bromma, Skavsta Airport and Vasteras Airport. The last two are served by the low-cost company RyanAir and runs the routes to and from London, but are too far away from the city centre. You need one hour and a half more or less from Skavsta Airport to the city link terminal (Cityterminalen). From the city link terminal, you can reach all the city in Sweden and not just those. 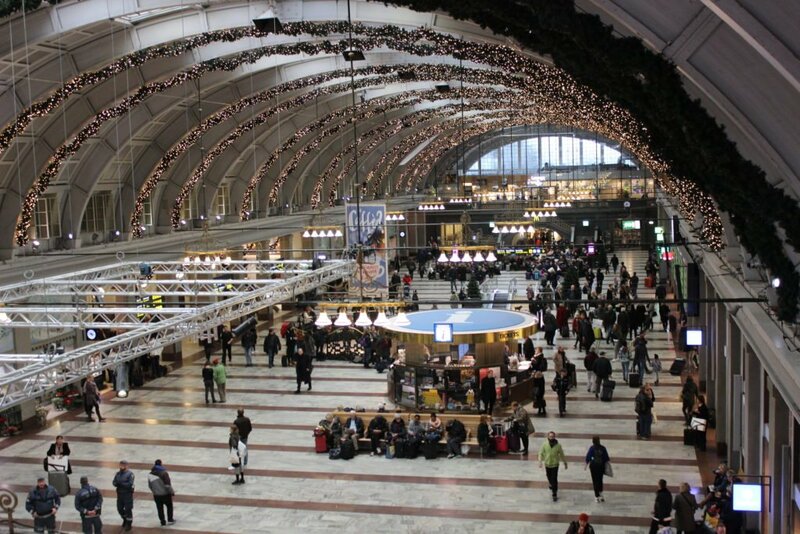 From Cityterminalen and Stockholm Central, where depart trains as well, you can reach Copenhagen as well. There is also some bus company offering a city route to the major European Capitals. From there you can go easily to Berlin, Prague, Budapest and Zagreb at a cheap price. Getting around in Stockholm can cost you a lot, the single ticket cost 31 SEK (with SL Access), you can get a better solution if you go for a 48h or 72h ticket. The (SL Access) it’s a card, like the Oyster Card for London, where you can add a credit and trave in Stockholm with a low price ticket. Also, the SL Access is available for a weekly ticket and is accessible via App on your mobile phone. You can find all the information, about the Transport in Stockholm on their website. You can take all the transports, including Bus, Train, Metro and Tram with the SL Access card or a hours ticket. If you are used to walking around, We will suggest you use your own feet, helping the Planet and your wallet as well. For a two days trip, you can go for the 48h ticket, but the price is almost the same of the 72, so if you plan to stay more, or longer go for this extension. You can buy it just in some places, or at your hotel, or at the information point you find around the city centre. You cannot buy the ticket on the bus, so purchased it before you plan to go out. The bus running during the night as well and the Metro are open until late. 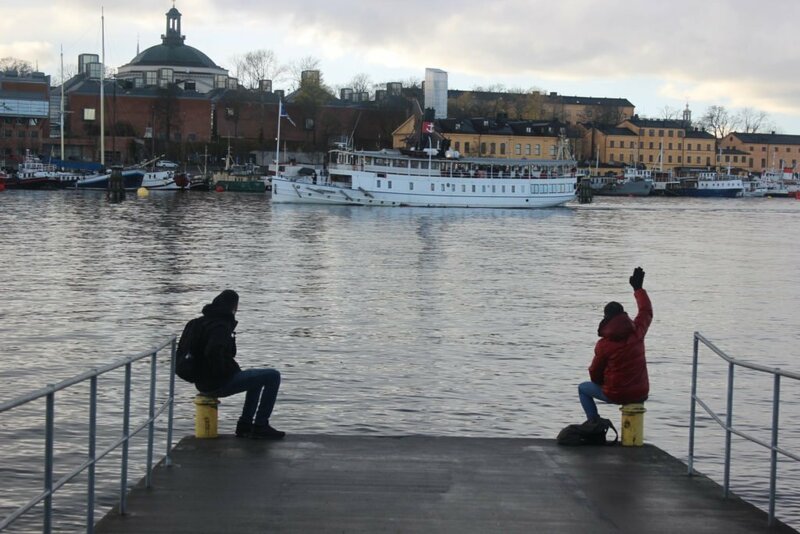 Stockholm is a joint of Islands, if you want to go from one point to another using the boat, could be a really expensive way to effort your travel. Stockholm has a huge seaport, with a lot of ports where you can find a ferry and cruise throughout the Scandinavian and Baltica Areas. You can find a Cheap flight to Skavsta Airport and get in another place of the Baltic Areas at a cheap cost. If you plan it in advance, can be a really good example of Travel on a Budget. One of the Ferries offer this kind of service is Tallink Silja. 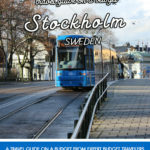 Pinterest Guide Transport of Stockholm, the Swedish Capital. All you need to know about Tram, Metro and Bus. How can go from the Airports to the city centre and visit the Arcipelago on a boat.